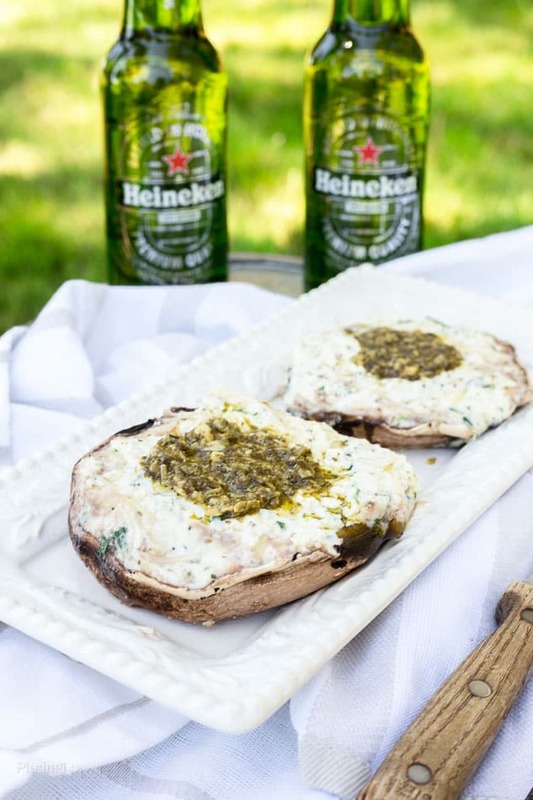 Grilled Creamy Ricotta Stuffed Portobello Mushrooms for a fun summer BBQ recipe. Portobellos stuffed with ricotta, Parmesan, tomato, herbs and pesto. When you think of beer and cooking, most like beer marinated or beer battered comes to mind. I’m a fan of those, but beer pairing can be is just as fun. It’s common with wine but works equally well with beer. 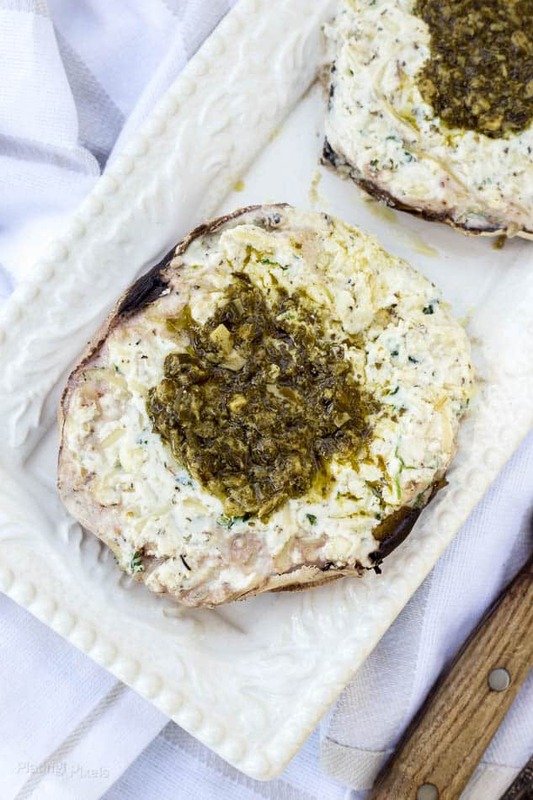 Read on for my suggested pairing with these Creamy Ricotta Stuffed Portobello Mushrooms. I’ve used mushrooms on skewers and thought it would be fun to make them the highlight of a recipe. Portobello mushrooms are large, flat mushrooms about the size of a burger. With a meaty, steak-like flavor, they are often used as a vegetarian/vegan substitute. The bottom center forms a bowl that begs to be filled with deliciousness. 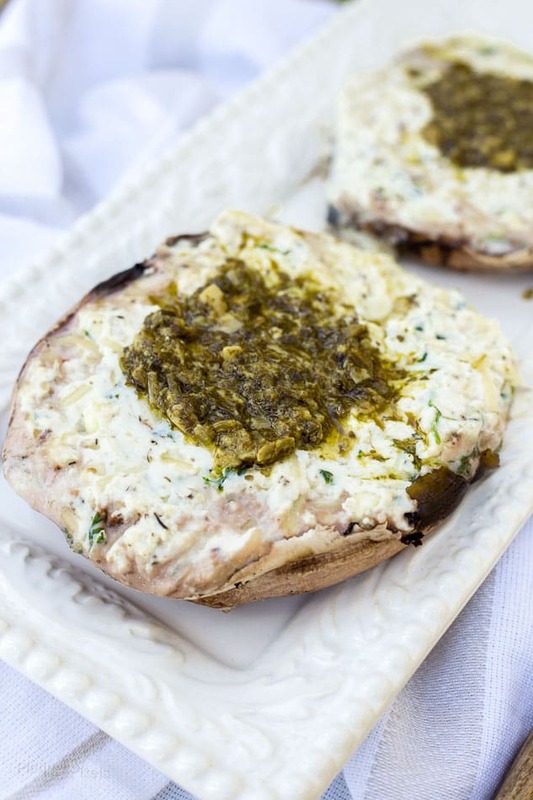 A flavorful, herbed creamy ricotta filling complements the meaty, savory flavor of portobello mushrooms. Ricotta, parmesan cheese, Italian seasoning, garlic and fresh parsley is a simple mixture that only takes minutes to create. Fill your mushroom and place on a grill to char slightly and heat through. Once done, top with pesto for a truly unique summer appetizer. Flavor profiles: Meaty and umami with savory, cheesy flavors. Texture: Thick, tender portobello mushrooms with soft, creamy filling. 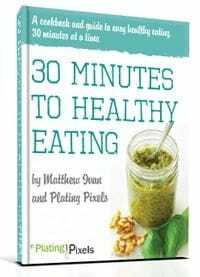 Dietary options/substitutions: If allergic to nuts omit pesto or use nut-free pesto. The ricotta filling would also go well over grilled steak or chicken. Portobellos stuffed with ricotta, Parmesan, tomato, herbs and pesto. Preheat grill to medium heat. In a medium bowl stir together ricotta, parmesan, garlic, pepper, seasoning and parsley. Set aside. Remove stems and scrape gills from mushrooms while upside down, discard. Fill each with tomato slice and ricotta mixture. Grill, covered, over medium heat 7-10 minutes, until slightly charred and heated through. Top with desired amount of pesto and serve.